How do you feel when you walk into a room full of strangers? How do you want those strangers to feel about YOU when you walk into that room? First impressions are important. Clothing can make a difference in your confidence level, your overall appearance, the way people treat you and even how people act around you. This is why you don’t wear pajamas to work! ; ) Style is important. Dressing for success is important. And this is where I come in! Below are the services I offer. Have you ever wanted to work with a stylist but don’t have access to one where you live or didn’t think hiring one was in your budget? Do you think your overflowing closet needs a good clean-out but don’t know where to start and are feeling overwhelmed? Need a little push to get started? Do you know deep down you have a LOT of clothes you’ve spent your hard-earned money on but don’t necessarily know how to style? Not sure how to dress for your body type? Want to know if anything is missing from your closet? Do you like saving money? Then this package is for you! You’ll have the convenience of working with a stylist remotely, from the comfort of your own home. You’ll have an organized and streamlined closet that makes sense to you. No more clothing collecting dust. I will give you a list of items that might be missing from your closet to fill in any gaps; clothing and/or accessories that would suit you and your lifestyle, teaching you to shop with purpose and save you MONEY. Closet Cleanse and Organization Guidance – I will email you detailed instructions on how to sort, purge and organize your closet. This will be your homework and I will hold you accountable to it. 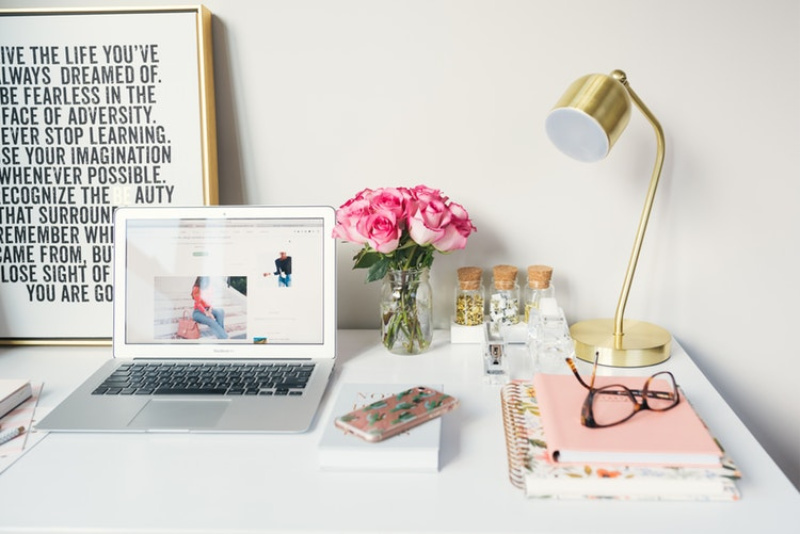 A 45 minute video phone call via ZOOM or FACETIME after your Closet Cleanse is completed, where we review your homework and get to the bottom of any frustrations you may have with your wardrobe. A VIRTUAL LOOKBOOK of 10-15 outfits for all areas of your life created by me after you upload photos of your clothing and accessories to an online platform I use for virtual styling. Tips on how to dress for your body shape to create proportion and show off your best assets. *Add-on options like links to shopping suggestions and more outfit creations are available, please inquire. Do you have a closet full of clothes but feel you have nothing to wear? Not sure which pieces to keep and what to get rid of? Wish you knew how to put outfits together? OR maybe your closet is lacking and you’re not sure what you should add to it to build a fully functional wardrobe? Then this service is for you! 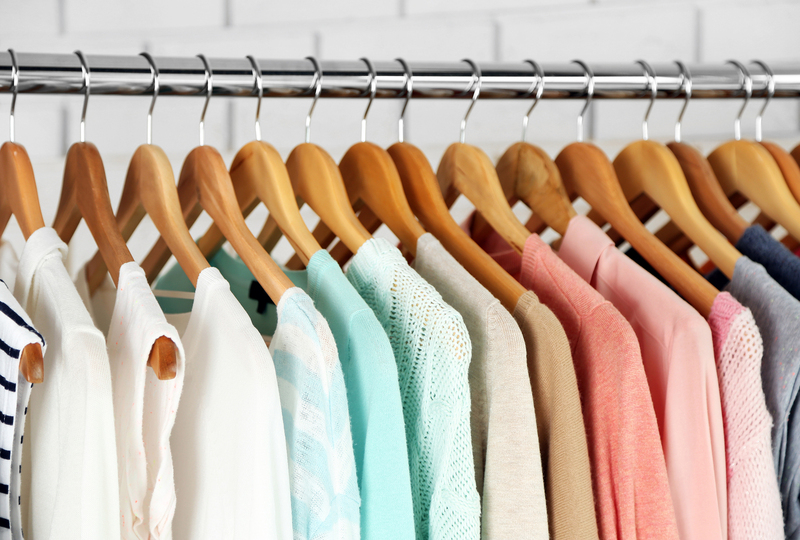 You will have an organized and streamlined closet full of pieces that work FOR you, not against you. You’ll learn how to style the pieces in your closet in a fresh and modern way. You’ll receive a full list of pieces to add to your closet so that you can have a fully functional capsule wardrobe that you can mix and match. No more deciding what to wear in the morning! My Digital Lookbook I will create for you after our session will provide you with options at the tip of your fingertips. A complete Closet Clean Out: After you fill out a Client Assessment Form I will come to your home and review your closet with you. I will edit the clothing you already own whether that means keeping pieces that work for your lifestyle or donating or consigning items that don’t serve you anymore. I will also organize your closet. Outfit Making Session: I will put 10-15 outfits together with what you already have in your closet, take photos of them and upload them to your custom Digital Lookbook, with style memos. You’ll no longer feel like you have to wear the same outfits over and over again or have nothing to wear. I will also teach you how to accessorize. Body Type Dressing Education: I will teach you how to dress for your shape and give you a tip sheet for reference. I will provide you with a Customized Wardrobe and Shopping Checklist with recommendations on what to purchase in the future. I will donate the clothing that is no longer working for you to a charity and recommend places for you to consign at. Style Assessment follow up session over the phone or via email. *Price will depend on the size of your closet/how many clothes you have. Do you hate shopping because you are overwhelmed by all of the choices and you’re not sure where to look or what to buy? Do crowded stores stress you out? Not sure what looks good on your body type? Do you want to develop your own personal style but don’t know how? Then this service is perfect for you! No more wandering the mall aimlessly. I will visit stores ahead of time and pull clothing specifically tailored for you and your lifestyle. All you will have to do is show up, go straight to the dressing room and try everything on. Easy peasy! I will teach you how to shop with purpose. You will go home with clothing you love, to add to your closet for a fully functional wardrobe. Free consultation and complimentary style assessment over the phone. I will create a mood board of fashion inspiration for our shopping trip. My clients are always encouraged to collaborate if they like. Do you have a closet full of clothes but don’t know how to wear them? Don’t know how to style that cardigan you paid over $100.00 for that has been sitting in your closet for the past 6 months? Do you purchase items just because they’re on sale and then never put them on? Say hello to the Wardrobe Styling Session! This service is for the woman who wants to make over her wardrobe without spending a lot of money. I will teach you new ways to style your favorite pieces and create 10-15 brand new outfits from what you already have in your closet. You’ll no longer feel like you have to wear the same clothes over and over again or have nothing to wear. 1 (2 hour) in-home session. 10-15 new outfits created from what you already own. I will take photos of the outfits I create and send you a complimentary Digital Lookbook with style notes included. Investment: $1700.00, paid in 2 installments of $850.00. Or $1500.00 paid in full. This service is for the woman or man who is ready to up their style game tenfold and invest in themselves. I will help you find your signature style, increase your confidence and improve your image, all while saving you time, money and stress. Think of me as your right-hand woman through this exciting process. I will be there every step of the way as I work with you to realign your wardrobe with your personal goals and lifestyle. This service combines THE CLOSET CONSULT, SHOPPING EXCURSION AND WARDROBE STYLING (please see above) with a whole lot of awesome extras thrown in! With the Complete Style Revamp, I will clean out and organize your closet, shop for the missing pieces in your wardrobe and style outfits with what you have in one seamless process. You’ll get all the benefits of unlimited access to your stylist as you embark on your style revamp journey. As an added bonus, you’ll save $200.00 when you book the package and pay in full. (1) 3 Hour Closet Cleanse, Organization and Body Type Education. I will donate all of your old clothing to a charity and/or recommend where to consign items. A Fashion Inspiration Mood Board created by you and I before we go shopping to help develop your signature style. (1) 1.5-2 hour in-home Wardrobe Restyling Session where I style 10-15 outfits from what you already have in your closet and the clothing purchased on our shopping excursion. Complimentary Digital Lookbook with style memos of the outfits I created. (1) 1.5- 2 hour Seasonal Shopping Excursion. (1) 1 – 1.5 hour Seasonal Wardrobe Restyling Session where I style items from the Seasonal Shopping Excursion at your home and upload them to your Digital Lookbook. BONUS: 6 months of unlimited text and email access to me. I will answer any styling questions you may have. Not enough hours in the day? Don’t have the time to shop for yourself and/or don’t want to venture out to a crowded mall? I get it! Life can get busy! First I will visit you at your home for a wardrobe consultation and then we’ll decide on a game plan, which will include me going shopping for you and bringing you options to try on in the comfort of your own home. I will pull items that fit your budget and needs and I will return anything that isn’t chosen. Please contact me for a quote. Shopping for a wedding dress can be daunting! Shopping for a wedding dress with family and friends who all have different (and maybe strong?) opinions on what you should look like on the most important day of your life can be stressful, too! Not sure what type of gown will look best on you? What about accessories? Not sure where to shop? Not sure even where to start? I can help! I will take the stress out of your dress search by contacting bridal stores I have great relationships with, setting up appointments for you and helping you find a gown that suits your personal style, bridal theme, body type and budget. I will also find you accessories, including shoes, to create a beautiful, cohesive look for your big day. I will recommend hair and makeup styles. If you like, I can also help you choose attire for your groom, bridal party and mothers and fathers, too. Complimentary mood board before the first appointment that the bride is welcome to collaborate on. (3) 1.5 hour bridal appointments at 3 different bridal boutiques in Edmonton. Recommendations on attire for the groom, bridal party and the mothers and fathers. I can also customize packages, please contact me for a quote. Do you have a family photo shoot coming up and are unsure of what everyone should wear? Are you feeling a bit overwhelmed because you want everyone to look flawless but not sure what will look best in photos? Don’t fret! I can come to your home, go through every family member’s closet and pick out a few options to create a fashionable, cohesive look for your portraits. Or I can go shopping for you or with you. (See Shopping Excursion and Personal Shopping services up above.) Please contact me for a quote. Styling and shopping services for that special event, whether it’s a graduation, wedding, work party or performance. I can deliver options to you or you can come along for the shopping experience. Please contact me for a quote. 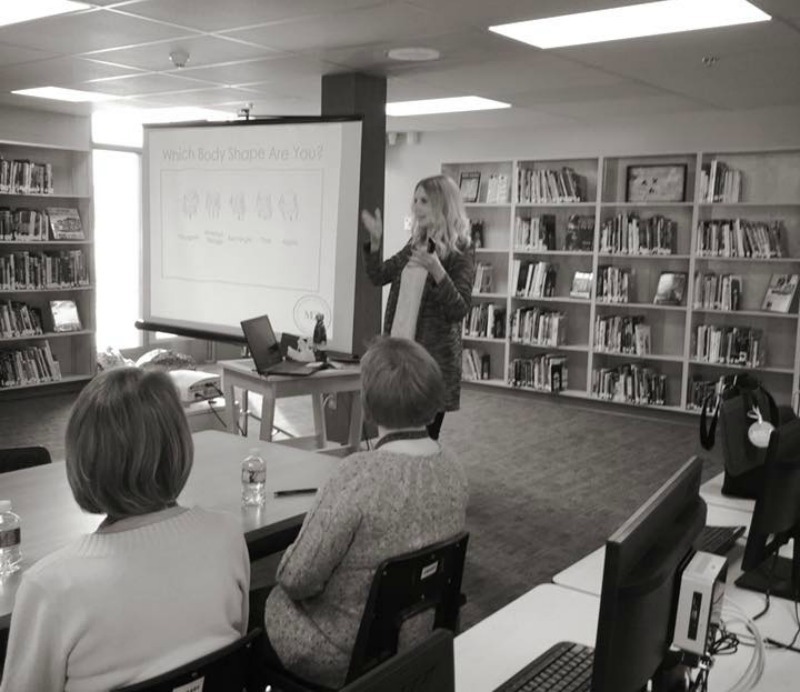 I offer Lunch and Learn Seminars (also offered after work) and presentations to your company to educate employees on why dressing appropriately for work and personal style matters. I have also spoken at women’s conferences across Alberta. Quote available upon request. Please contact me. My fashion styling work has been published in magazines, online publications, advertisements and more. Quote available upon request, based on the project. Please contact me. Gift certificates are available! I can bundle my services for a custom experience for you or your loved one.